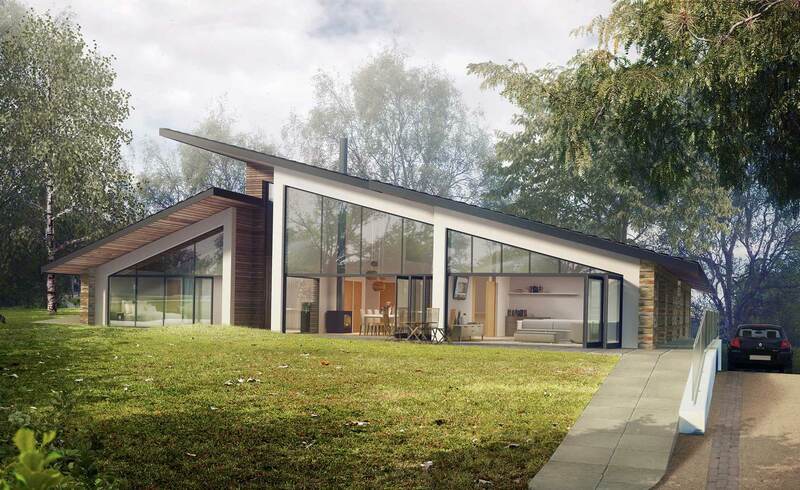 The site for this bespoke new build house is located in Blackley, North Manchester and is on a private estate surrounded by trees, landscaping and a small lake. 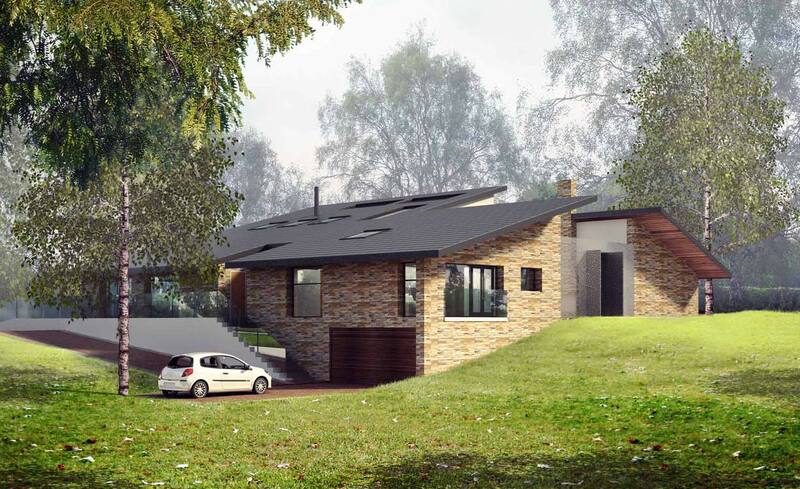 The brief given to Artform Architects was to design a contemporary house across one level which responded to both the context and the topography of the site as well as incorporating sustainable technologies. 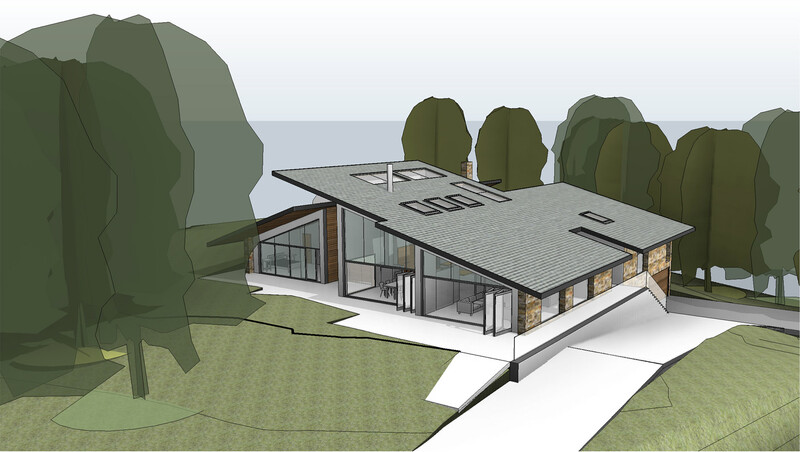 The design features large areas of glazing for views out to the landscape and also allows the house to open up to the outside across the south facing elevation. 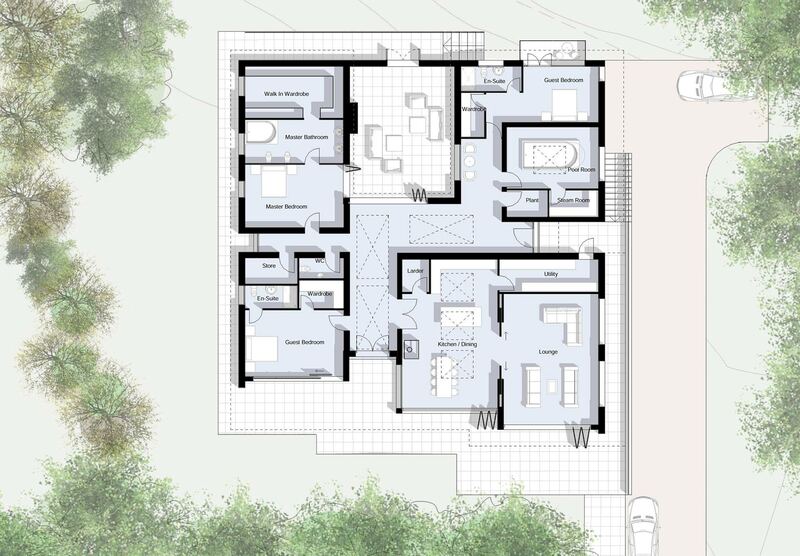 The rooms are arranged around a double height central atrium which leads to a private enclosed courtyard at the rear. The accommodation includes bedrooms for guests and a pool room for the client along with a basement garage for parking and storage. 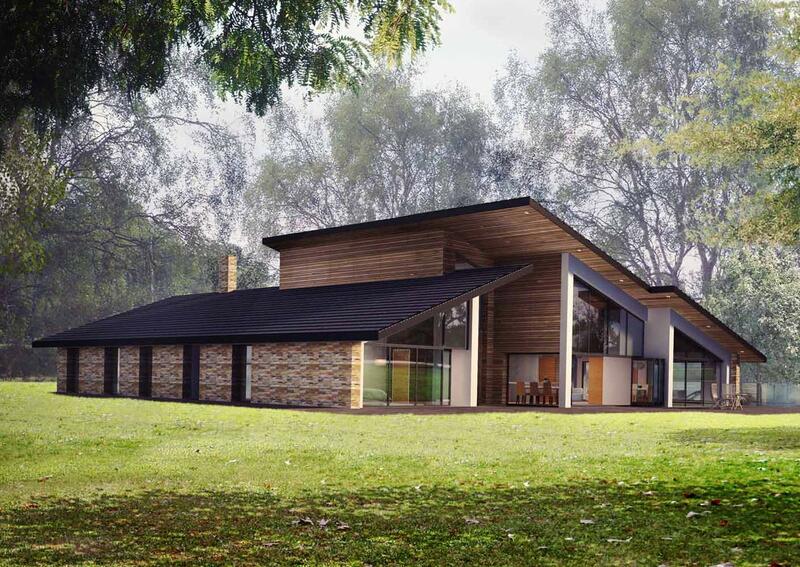 The design aims to minimise carbon consumption by incorporating a timber framed SIPS system, an air source heat pump, solar tiles and soakaway drainage.